Our School has a faction reward system where students earn points for their team and are acknowledged at assembly. The points each child earns are calculated and recorded so individual milestones are also rewarded with a Badge at 50 points, Medallion for 75 points and a Trophy at 100 points. We have Golden Time on a Friday to reward the students who are demonstrating our values and the school’s code of behaviour. The students have brainstormed some activity ideas to get us started. Any student who loses 20 minutes of GT in class will do a reflection immediately and a text will be sent home. If a child loses 30 minutes they will be withdrawn to the office to work for a session and identify ways to improve their behaviour. Parents will be contacted at this stage. If the negative behaviour continues on a regular basis, a meeting will occur between parents, teacher, student and myself to work out the individual actions that need to be put into place. All students who are demonstrating consistently positive behaviour will be invited to attend the end of term reward activity and any incursion/excursion that may occur throughout the term. These are privileges that need to be earned by being respectful, responsible and building positive relationships at all times. To access the policy please click on the heading above. Head Lice is a common problem in a school situation and we encourage parents to be diligent in identifying and treating children for head lice. To access the revised Head Lice Policy please click on the above heading. 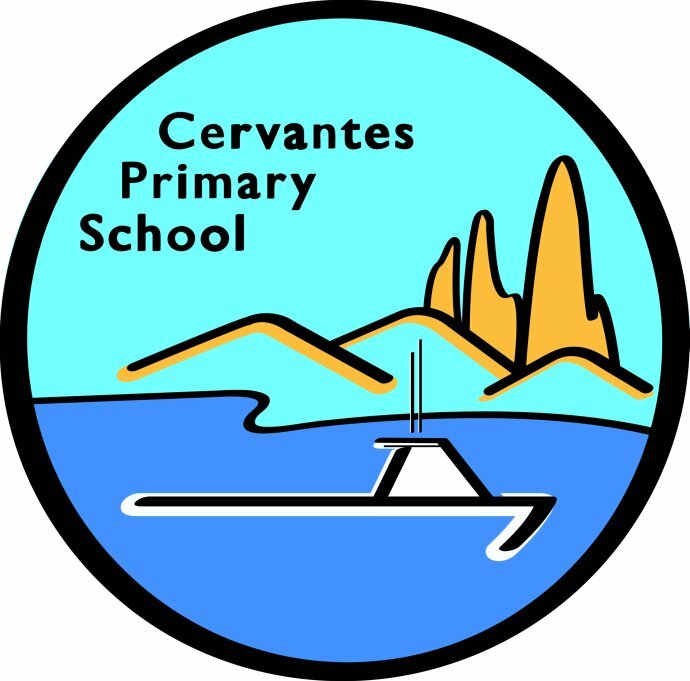 Cervantes Primary School focuses on the whole child as the reach the Pinnacle of Learning and Growing Together. Our school colours are black and gold, all students are required to dress in school uniform. Introducting Reggie Respect, Rosie Relationship and Rocky Responsible. To meet our 3R's please click on the title above.